Are you interested in opening a franchise, but you aren’t sure where to start financially? Luckily, there are loans available that specifically cater to a new franchisee, as well as lots of information regarding what questions you might want to ask your franchisor. In this guide, you’ll find out what you need to know about franchise loans, including what they are and how you can apply. Franchise Finance has established themselves as finance professionals since their inception in 1979. They are generally the go-to people when it comes to financing for franchises, and they are members of the British Franchise Association, which is a body that has members which span across the franchise industry in the UK. Franchise Finance is also regulated by the financial conduct authority (FCA). Startup Loans is a government program to help startup companies to get the necessary finance that they need, especially when banks may have rejected your application. As long as you have a solid business plan, you could get funding of up to £25,000 to start up your brand new franchise. This can help you well on your way to establishing your franchise, even though they don’t offer loans as large as some other companies. Representative: Borrowing £25,000 for three years means that you will pay monthly instalments of £760.55, so in total, you will be paying back £27,379.74 which means £2,379.74 of interest. Lloyds Bank is a household name when it comes to banking, and if you are planning on becoming a franchise they may have some options for you. For instance, with their enterprise finance guarantee, newer businesses or companies that might have very little security can secure funding from between £25,000 to £600,000 to help you set up your business and pay for the essentials. This is regardless of the size of your business, so you know you won’t be rejected based solely on the turnover of your business, or it’s age. Liberis is an alternative loan provider which allows customers to get funding that they may not have been able to secure elsewhere. With no APR or early repayment fees, you’ll only ever need to pay one fixed price which means that you know what you’re going to be paying. This can be an excellent solution for many companies that need a quick injection of funds. A franchise is typically when a successful business offers people an opportunity to open up their branch of the brand in their area, usually after being trained and learning the company from the inside out. 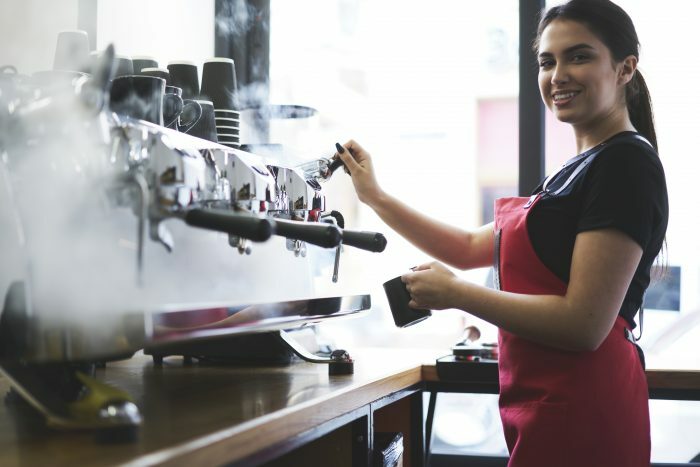 This allows the franchisor to focus on their own business, while franchisees can lower the risk of starting a business by getting involved with a company that already has a proven track record. It’s atypical for a business that isn’t currently successful to start franchising, so if this is the case, you should be asking some serious questions about how secure your investment will be. Franchise loans are loans that are specifically designed to fund your franchise. This can be to pay for things such as workers, equipment, premises or anything else that you might need for your business to function efficiently. Usually, franchise loans will be for a shorter term length that is between one and five years for instance, and you can generally borrow anything from £1,000 to £500,000 depending on the lender. You should keep in mind that you don’t necessarily need to borrow as much as you possibly can, and you need to be mindful of the size of the repayments you can realistically pay back. How can a franchise loan help me? A franchise loan can help you to fund all of these costs, or a portion of them if you already have your savings. This can take some of the immediate strain off your shoulders as you can focus on the present and make manageable monthly repayments that won’t be too overwhelming. Sometimes repayments can be spread over the years, making them relatively small in comparison to shorter-term loans. Often you will need a summary of your business, including what it does and how it does it. Your details, which means your age, location, which depends on you financially and your contact details. The experience that you have, personally and in business as well as any skills you have. You need to provide a rundown of the franchise, including any market research and analysis you might have. A breakdown of your operation; this means including costs like your new location, equipment and any stock for instance. The management of your business, so anyone you have in key positions. Your strategy when it comes to things such as marketing, as well as your financial projections for your company. Personal finances are often included in the documentation you might need, as it goes to show your ability to borrow and pay the money back. You may need more or less documentation than this to get a franchise loan, dependent on the lender. However, this covers most of the information you may need to provide. Who offers the best franchise loans? The best lender for you and your company depends on many different factors. For instance, you may only need to borrow a minimal amount, in which case a loan from Startup Loans might be the best option, as they offer very low-interest rates and no arrangement fees. Or you could need a very substantial loan, so Lloyds Bank might be better suited as their business relationship managers can help you on your way with finances as well as advice to help you succeed. This might boil down to whether you want a short-term loan which you typically payback in under two years, or you could need a long-term loan that you might pay back in around ten years. Take a look at the different types of loan below. For your business, a short-term business loan is a quick injection of cash that can help launch your business to the next level. This could be for depositing an office space, hiring some new workers or purchasing things such as a business phone system or other office supplies. A short-term loan allows you to pay back this money quicker. For instance, this could be over six months. So while your repayment amounts might be high, you might be able to pay it off in a few months which will let your budget easier. These types of loans could be from a bank, peer-to-peer lenders or even alternative lenders; but more about that below. Unsure about whether a short-term business loan might be good for you? Here are a few examples of when this type of loan could be best for you. In conclusion, many pros and cons go into deciding whether a franchise might be right for you, but the good news is that when it comes to loans, you aren’t short for either option or help that you could receive.